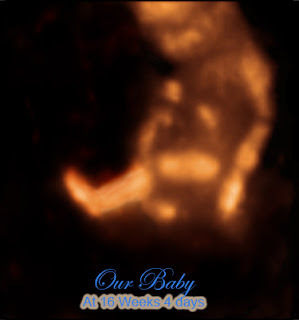 We finally had the highly anticipated 16 week ultrasound, on September 16th 2008. More than anything, I wanted to see if my baby was developing normally. Being a first time mom, and knowing I have PCOS, I need reassurance every once in a while. 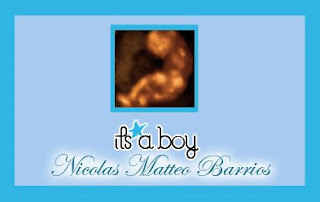 So we decided to schedule an appointment at a private place called, Baby's First Images. Not exactly the best camera angle (my husband is not a great photographer, lol), but that's okay. I look really happy, but I was soooo nervous! I couldn't wait for the tech to get started!